As the specialist of otorhinolaryngology, we aim to provide medical care trusted by the locality. Since our opening, we have been responsively treating a number of patients for over half a century. We will further keep providing medical care needed by each patient in a precise and accurate way. 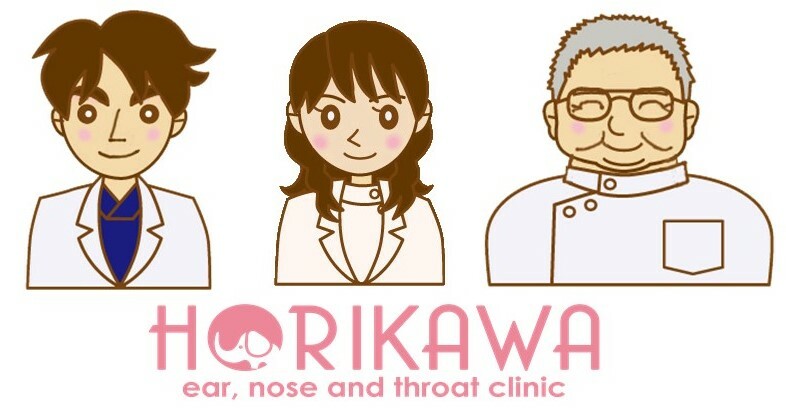 All 3 doctors in our clinic are specialists approved by Oto-Rhino-Laryngological Society of Japan. We aspire to provide state-of-the-art treatments to every local people. Please feel free to consult about your wishes upon the procedure. We will propose the best way. ＜学位取得論文＞　Association of latent membrane protein 1 and matrix metalloproteinase 9 with metastasis in nasopharyngeal carcinoma. Horikawa T, Yoshizaki T, Sheen TS, Lee SY, Furukawa M.
I am working to give medical examination with easy to understand explanations.Please do not hesitate to ask me anything. In the clinic, I am displaying my pictures taken during scuba diving at various places in and out of Japan. I will continuously provide medical care with energy. On 1946, he opened Horikawa Clinic at his hometown Takefu city. As a hospital specialized in otorhinolaryngology, many operations and hospital stays were performed. In addition to otorhinolaryngology, he serviced local medical needs of internal medicine, pediatric service, house visits, and school doctors.